From a backstage meeting of heavy metal friends came the collaboration known as Serious Black. The result was 2015's As Daylight Breaks, followed by some touring and festival appearances. Now, the band returns with their second effort, Mirrorworld, and some line up changes. 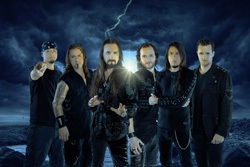 Alex Holzwarth (Rhapsody Of Fire) replaces Thomen Stauch on drums. 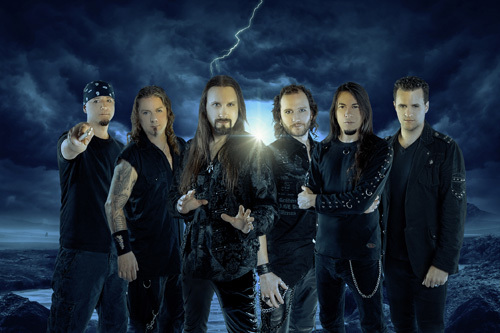 Committing himself to Masterplan, Roland Grapow bowed out and Bob Katsionis (Firewind) became a permanent member. British producer Andrew Holdsworth once said, of all the music genres he's worked with, "metal is the most formulaic and conservative." He's probably right, especially with traditional and European melodic power metal. Serious Black follows the recipe: twin guitar harmony, an abundance of frisky guitar solos, thumping and speedy rhythm section, a dash of keyboards and, generally, clean melodic, yet often, pitched vocals. Toss in a mixture of tempos and some true rock groove and the music is essentially defined. In this sense, Serious Black remains constant and consistent. Mirrorworld is a fine follow up to their first album. Songs that fulfill the formula include Mirrorworld, You're Not Alone, and Castor Skies which has a nice groove and catchy refrain. Two songs, Heartbroken Soul and State Of My Despair lean more towards melodic hard rock, yet with a metal edge. The rock groove is more prominent in both as is the keyboard influence. All in all, as said moments ago, Serious Black returns with another album of tried and "keep it true" melodic heavy and power metal, something they're very good at creating. Recommended. 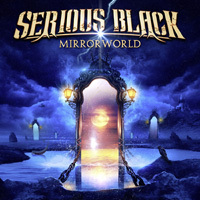 Serious Black returns with another album of tried and "keep it true" melodic heavy/power metal, something they're very good at creating. Recommended.